« New Zealand: why it is a fabulous tax haven .. corruption.. what corruption ? Was XXXXXXX censured ? is this why this animal welfare lawyer has gone? looking at the detail in this matter and snip bits that I have picked up over the years. I have known all along that XXXXX was counting on a hefty chunk of the estate of one old lady in Titirangi , the lady had no family and supported animal welfare. 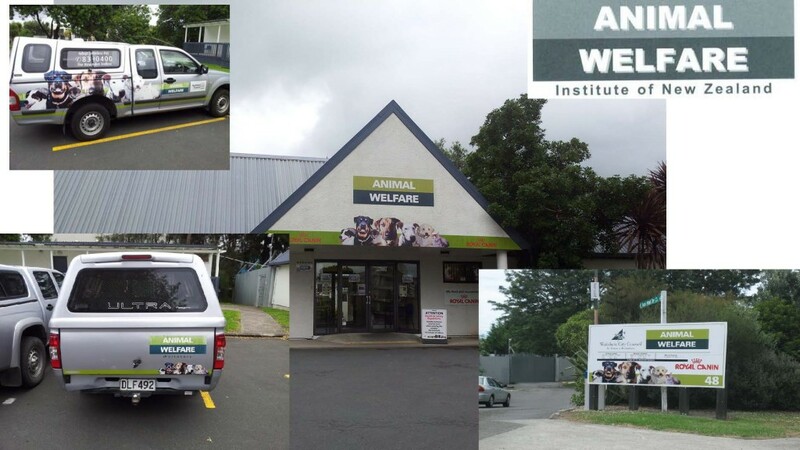 Even in the early days she was involved with the various animal welfare projects in Waitakere city . she wrote this letter in 1996 and there was a response from Tom Didovich . this was just after xxxxxxx had published his plans for his own business plan as set out in the territorial animal welfare services document he produced. the letter indicated that that she had been told something and was checking it out for herself. XXXXXXX was also in the process of writing the No 1 bill for the animal welfare act , and into the bill he inserted the ability for other organisations other than the RNZSPCA to become law enforcement powers under the new legislation . XXXXXX became ” independent” adviser to the select committee and as soon as the bill became law he made an application under a false name . He told the minister lies and misled Maf with regards to the structure and nature of the Animal welfare institute of New Zealand. he operated it from the council premises and rebranded the council buildings so that they looked as thought they were a private organisation. 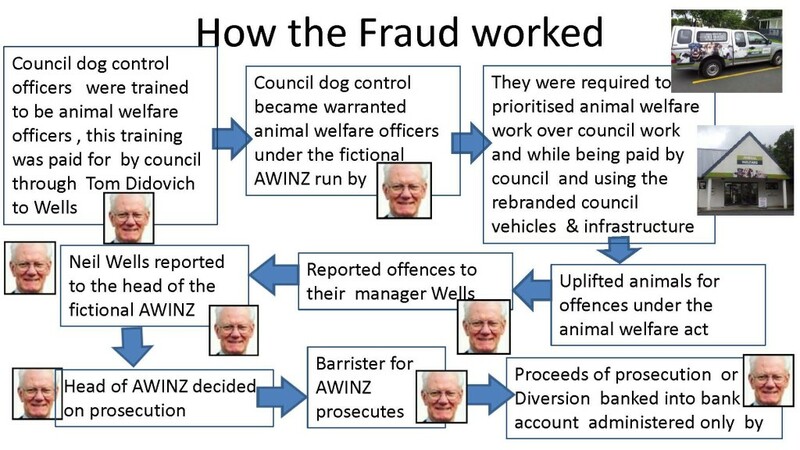 In 2006 when I asked questions with regards to the lack of existence of AWINZ ( animal welfare institute of New Zealand ) XXXXXXX concocted a trust deed for a similarly named trust he stuffed up on the dates and formed the trust for a date three months into the future of when the application was made . according to these affidavits the trustees never met and as a result two trust deeds materialized this one and this one you will note that the center pages of the second one are different . So Th eold lady who I presume was his client in the censure matter was not the only one to be deceived , but she smelt a rat years later when xxxxx moved to Te Kuiti and was telling people at the local SPCA that he was getting her money. xxxxxx at the time was the chairman of Te Kuiti RNZSPCA and set in motion the charities demise . I very much suspect that the item above relates to him. this fine upstanding citizen who lied to the minister is still being protected . he was held up as being a person with an impecible nature and I am the tart who defamed him. But How do you defend defamation when the statutory defence of truth and honest opinion are denied by the court. Hardly a fair go is it. 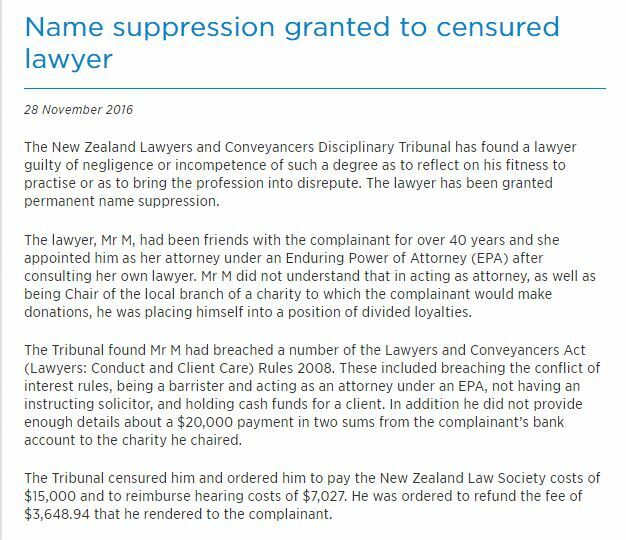 Andrew little would have lost too if he could not have had a jury or a defence. You denied me the defence of truth and honest opinion, broke my marriage up and you call yourself a christian. xxxxxxx when are you going to admit your sins You will be judged. Its not how we are judged in this world its how we are judged in the next.. my conscience is clear how is yours xxxxx ?